The stone painting phenomenon is a beautiful decorative art using colourful paint and permanent pen. 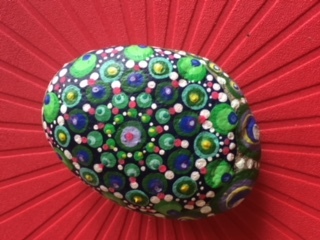 Come and be creative either designing a mandala, abstract, creature, or inspirational painting on a stone, board and canvas. It’s easier then it looks, fun, economical and it is quite additive. Outcome of this workshop is to create art, bring a little happiness to others and be part of a community.